The latest world events, economic uncertainty, social inequalities, and the consistent flow of refugees Europe has experienced in recent years, have contributed to the shaping of a hostile environment, where hateful speech and violence thrive, especially online. 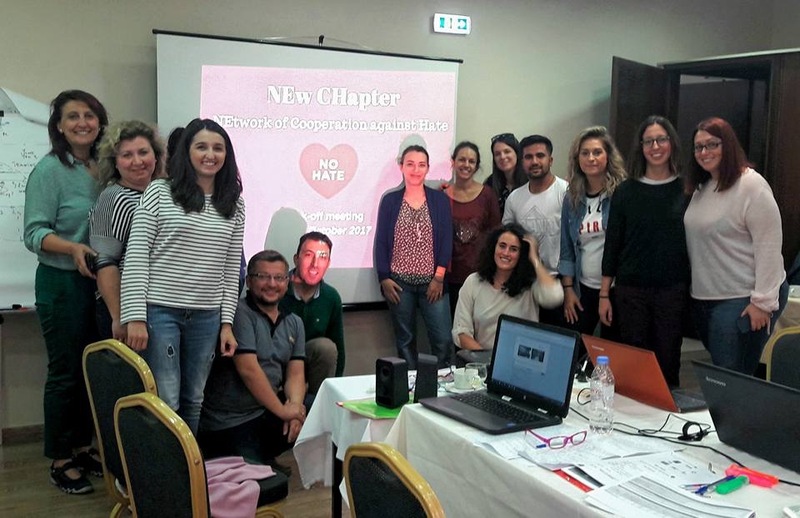 The NEw CHapter- NEtwork of Cooperation against Hate project aims at tackling this behaviour through a cross-sectorial cooperation in the field of youth work and the promotion of human rights education (HRE). The partners have met in Larisa (Greece) for the first time in occasion of the project’s Kick-off meeting on October 21st-22nd during which key dates and appointments were scheduled. to support the exchange of effective methods, opportunities and challenges in local and European youth work in reaching out to marginalized young people and in preventing racism and intolerance among local youth. The partners will now engage in a research on existing good practices in combating hate speech, which will be then gathered and contextualized in the New CHapter handbook. Moreover, the partners are planning other activities in the framework of the project such as the training for youth workers and the two local activities to take place in 2018.